Translated as ‘God’s Breath’ and named after the winds which descend from Mount Miwa in Nara, Kamiki is a modern blended whisky bound by the ancient traditions of Japan’s Kansai region. Carefully selected Japanese malt whiskies are blended with some of the finest malt whiskies from across the globe to create a smooth, deep, world blended expression. The next step sees the whisky fused with Japanese spring water and aged in Japanese wood. What kind of wood, you ask? Yoshino Sugi, known in English as ‘Japanese cedar’, is where the Kamiki whisky is finished, making it the very first in the world to be matured in this unique wood type. The aromatic wood is difficult to handle, but imparts immense depth to the final liquid. Aromas of honey-dipped apples and peaches are followed by dried fruit and a whiff of campfire smoke. The palate carries the aforementioned notes forward, now joined by fresh incense, ginger, and sandalwood from the cedar. The finish is satisfying yet subtle, bringing the whole experience to a balanced close. The world has taken notice. The Kamiki recently shone at the Ultimate Spirit Challenge 2018, as the best performing Japanese whisky, scoring 95 points. Receiving a Gold at the San Diego Spirits Festival in 2017, and a Silver at IWSC, this exciting new expression is quickly spreading across the world. 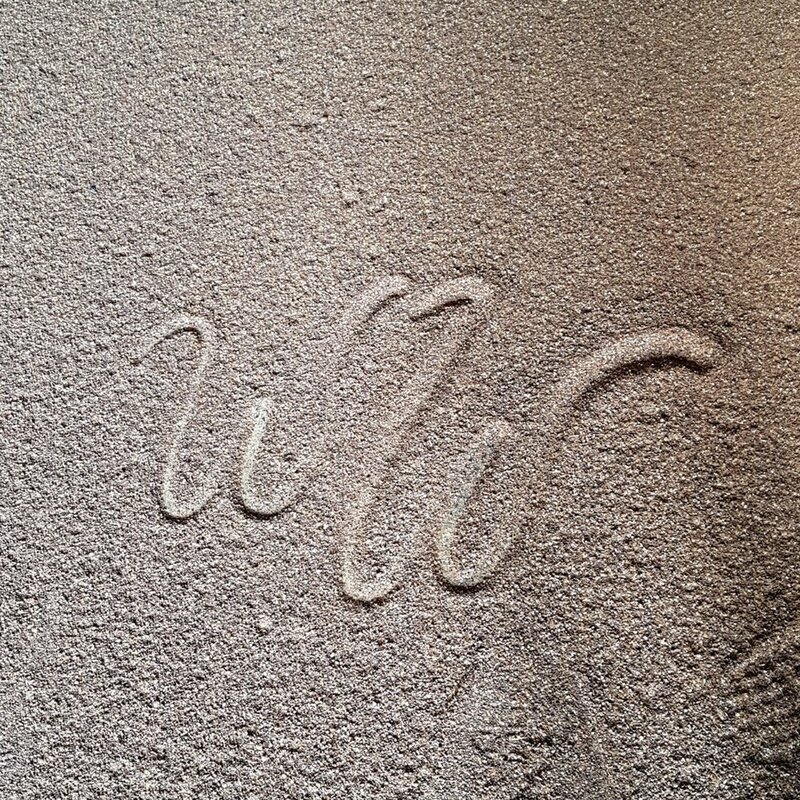 This time the focus shifts from casks to yeasts – in this edition wild yeasts from barley fields near the distillery were used in the process. In our video above, Bill tells all about how this NEW whisky was created. Also notable that the ALLTA label shows a deviation from the standard Private Edition ABV of 46% and sports a stunning ABV of 51.2%. Loch Lomond Group, the award winning independent Scotch whisky distiller, has announced its new five year partnership with the professional golf championship The Open. This partnership includes support towards the Ricoh Women’s British Open, the showcase of the full range of Loch Lomond Whiskies, and the title of ‘The Spirit of The Open’ for one of the distiller’s range of single malts. “Becoming the official ‘Spirit of The Open’ provides us with an unrivalled opportunity to build on our ever- growing international presence and position Loch Lomond Whiskies as a world class distiller producing some of the industry’s finest, most exciting and unique single malts,” explained Muriel Raguenaud, Marketing Director at Loch Lomond Group. 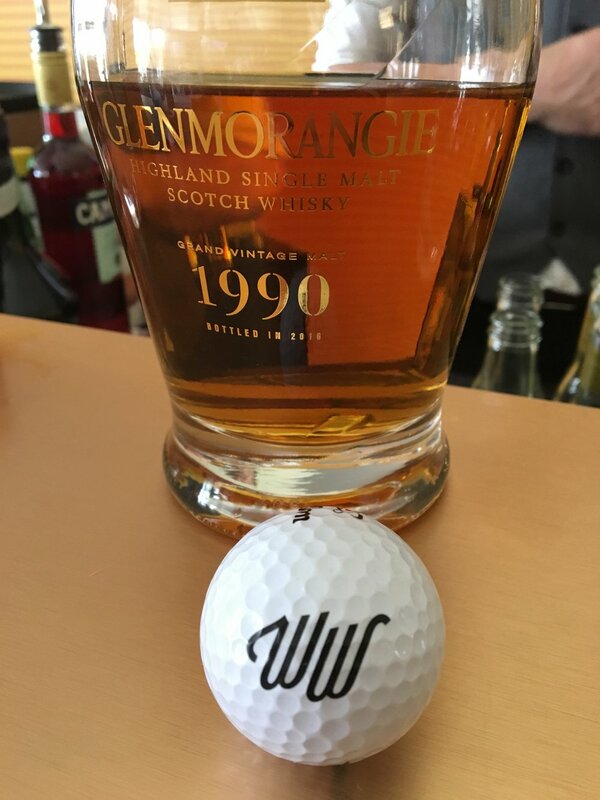 Recognised as some of Scotland’s most famous products, whisky and golf are coming together into a new collaboration aiming to spread this knowledge. Loch Lomond Whiskies will be creating a variety of highly covetable limited editions for both golf fans and whisky aficionados. “We are extremely proud to have agreed this prestigious partnership and association with The R&A for The Open and the Ricoh Women’s British Open. There is an incredibly strong alignment between the worlds of whisky and golf, two of Scotland’s most iconic gifts to the world. 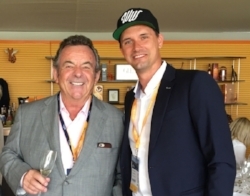 There is also a great fit between those who follow golf and whisky, with research showing clearly that many golfers across the world enjoy a regular dram,” said Colin Matthews, CEO of Loch Lomond Group. The partnership between the two will run until 2022 and it will include the playing of the landmark 150th Open in 2021 at St Andrews, the home of golf, and the 147th Open that will take place at Carnoustie from the 15th until the 22nd of July 2018. 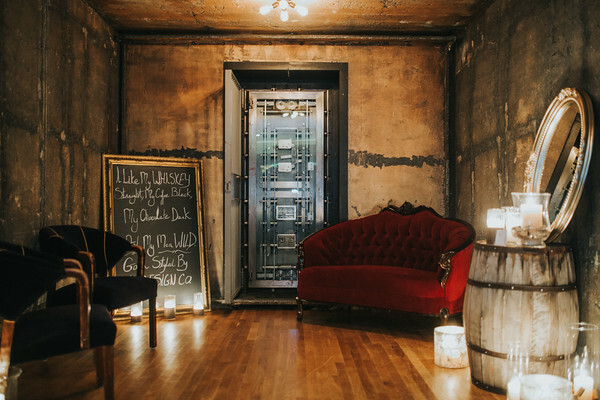 Over the last four years, Loch Lomond Group has expanded its product range significantly, making capital investments in its distilleries, maturation infrastructure and bottling operations. It has achieved strong international growth and its brands are not present in over 125 countries around the globe. The Sixth Annual Whiskey Obsession Festival (WOF) will be held April 11 to 14, 2018 in Sarasota, Florida. Whiskey Obsession is the largest world whiskey festival in the U.S., with four days of classes, tastings, lunch and dinner pairings, expanded bartender academy, interactive panel discussions, cigars, VIP pours, a fabulous grand tasting with hundreds of whiskies to sample, and live music street party in the heart of downtown. 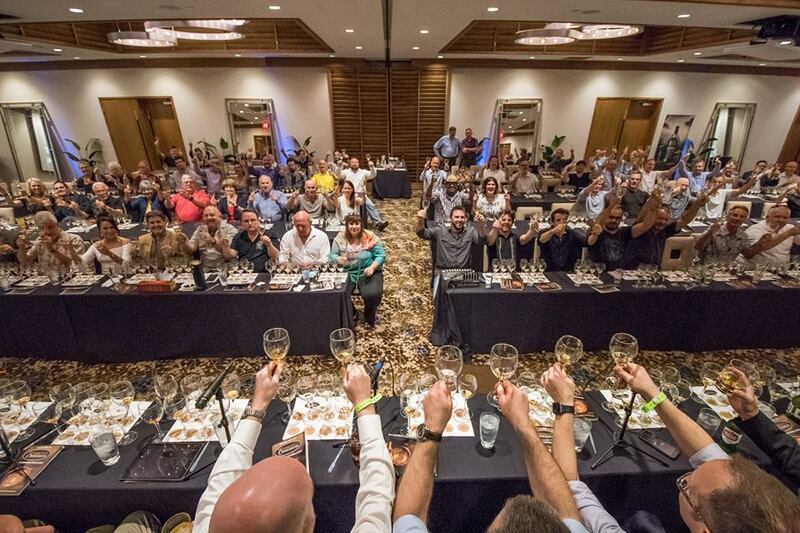 Dozens of distillers and professional brand ambassadors from around the world travel to Sarasota to share their knowledge and passion for these fine spirits. Tickets on sale on Friday, December 1, 2017 at www.whiskeyobsessionfestival.com. Limited sponsorship opportunities are available; contact us for info. We are thrilled to announce that Visit Sarasota County awarded Whiskey Obsession a valuable tourism marketing grant for 2018 to promote the festival in key cities around the country and in Canada. 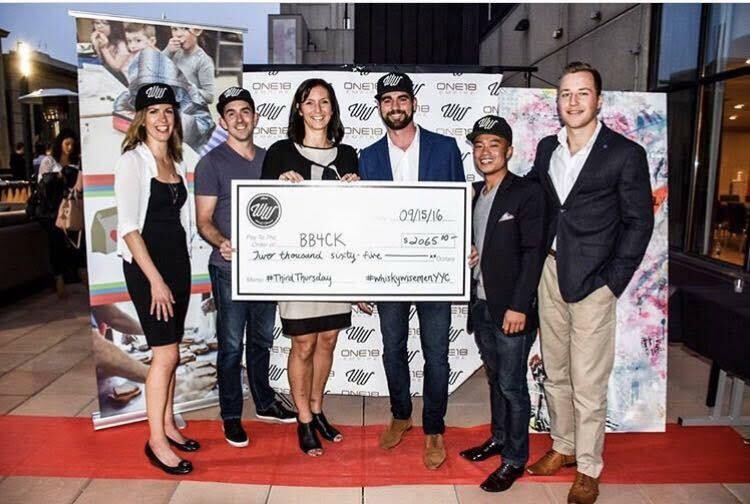 This partnership illustrates WOF's unique importance to the region. 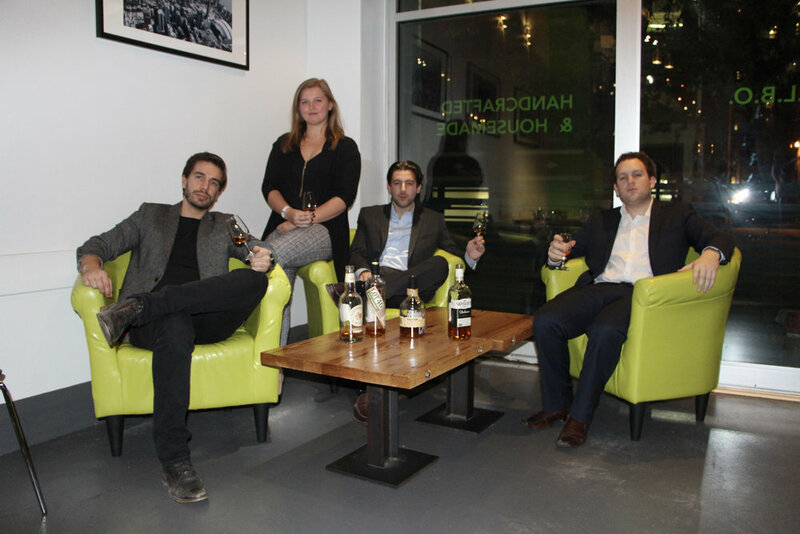 WHISKY CLASSIQUE - WISEMEN APPROVED EVENT! The 5th Annual Whisky Classique is back! 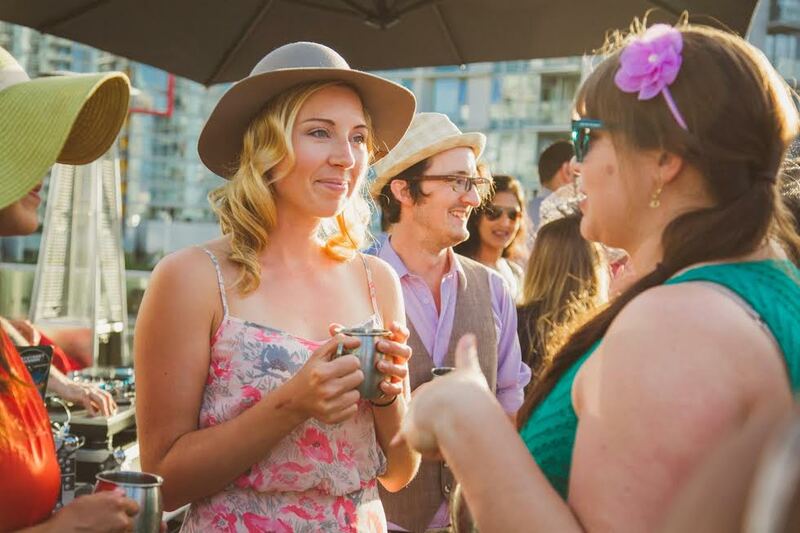 Vancouver's Whisky Festival showcased over 160 of the delicious whiskies available in BC. 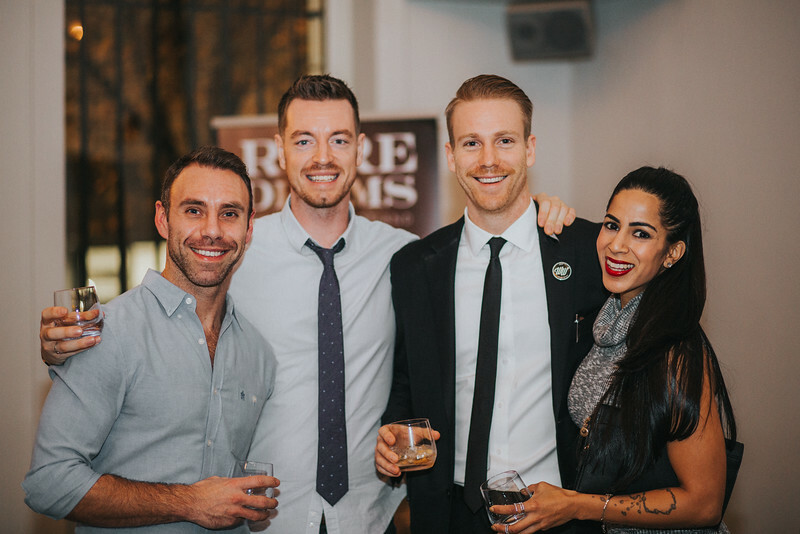 Come and meet Brand Ambassadors from around the globe as they educate you while you sip their delicious whiskies. Tickets sell out quickly. Purchase now before they do! 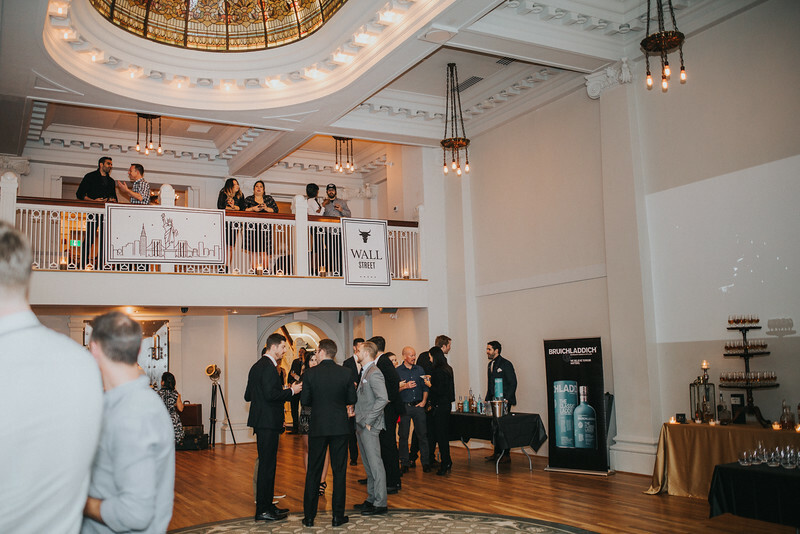 The Grand Whisky Hall is the anchor event of Whisky Classique. 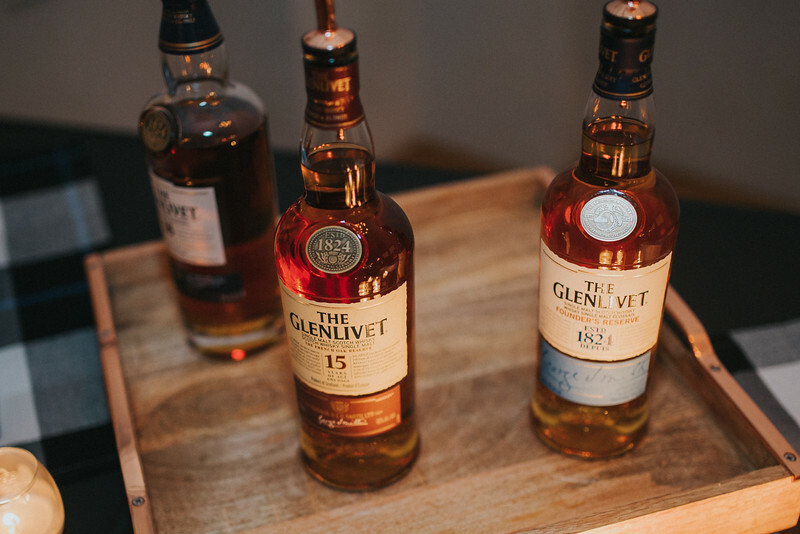 Many whisky companies will be will be on hand to pour their line-up of incredible whisky for the guests to enjoy and learn about. 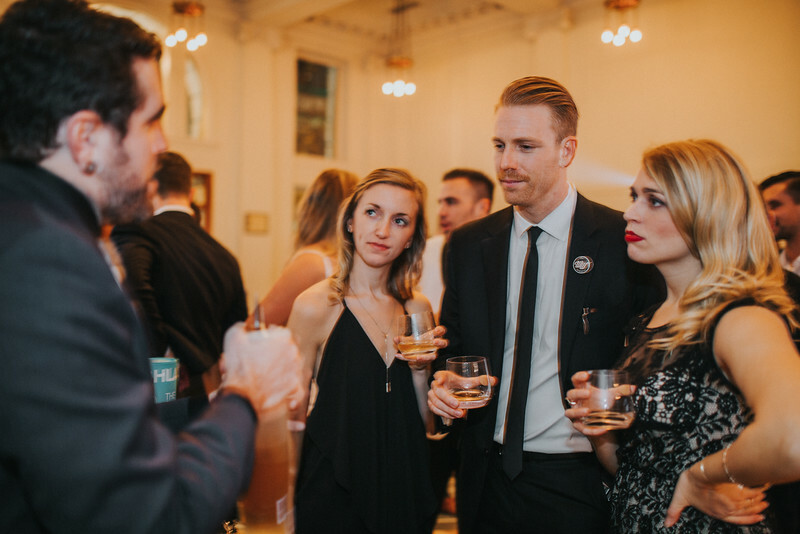 It will offer a landscape where Vancouver’s most dedicated whisky connoisseurs can come together to discuss and sample one of their true loves. Once guests arrive at the GWH, and are given their Glencairn whisky glass, they will be able to approach whichever booth they so please. 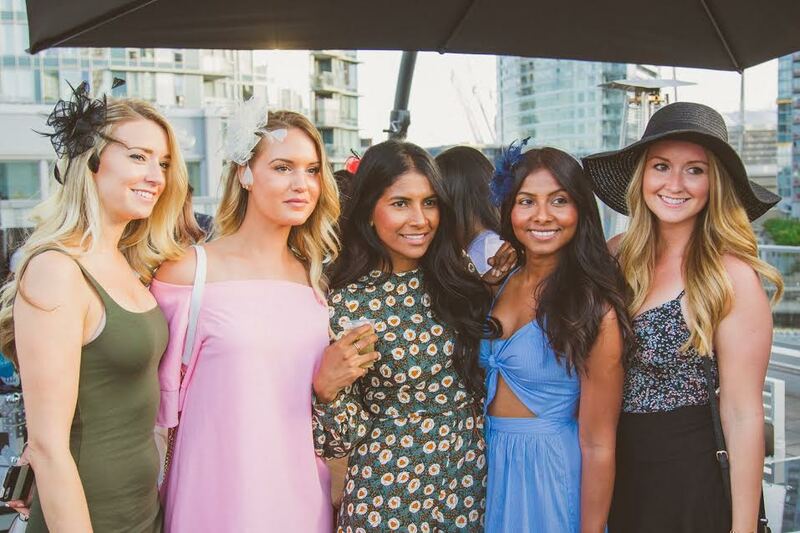 With live music all night in the iconic Rocky Mountaineer Station, this will be one of the most incredible and special nights Vancouver will offer all year. On October 4th 2017 the Whisky Wisemen Society travelled to the JP Wisers Distillery to learn, welcome, and support the launch of the new Hiram Walker and Sons Distillery. 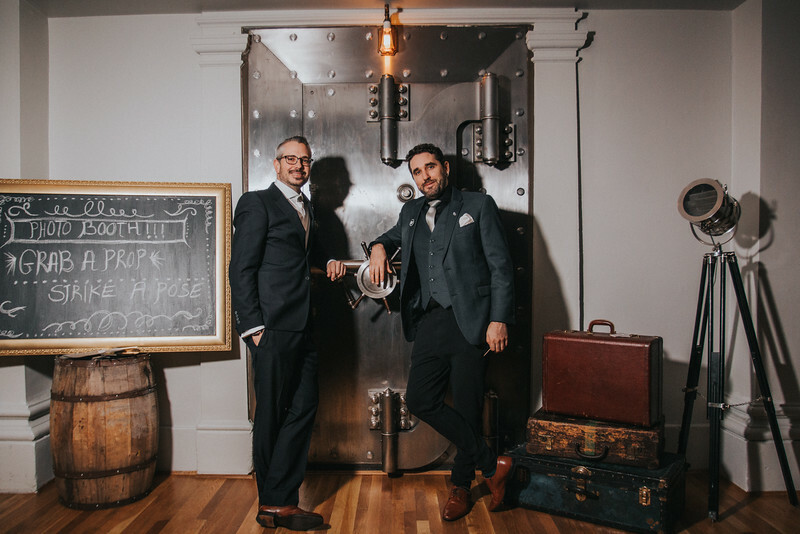 Grouped together with fellow Influencers, media, as well as food & beverage; our journey through the Distillery highlighted the history of the JP Wisers brand as well as the intimacy and care that is put into building their products. Brought together on J.P. Wiser's birthday, our day included meeting the team behind the brand as well as a private tour of the public tours opening this fall. 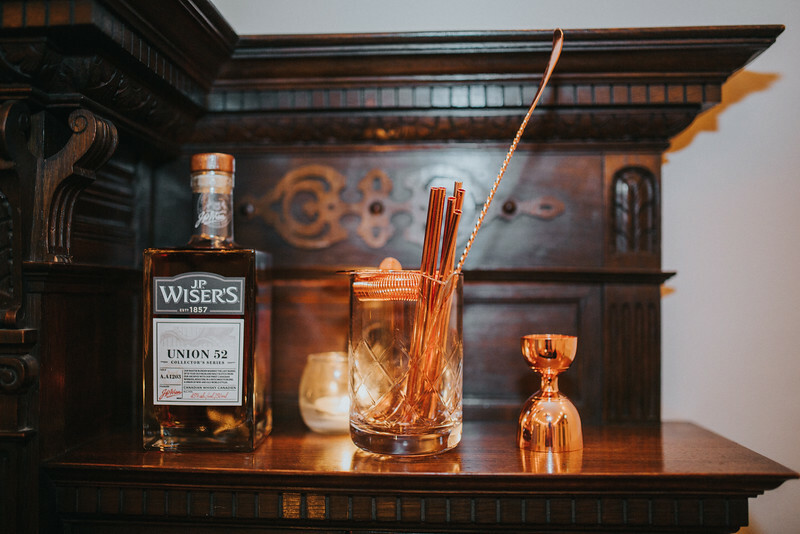 With a focus on the opening of the new brand experience centre; Hiram Walker and Sons Distillery has created a space for visitors to come and enjoy a glass of one of Canada's original whiskies, overlooking the Detroit River. 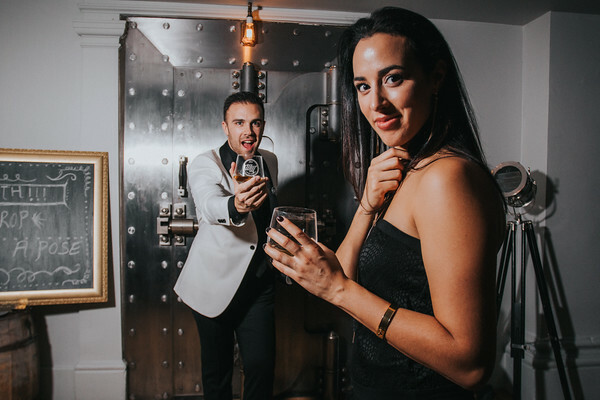 For the first time ever Hiram Walker and Sons will give the general public an opportunity to take part in the grain to glass experience of the brand. 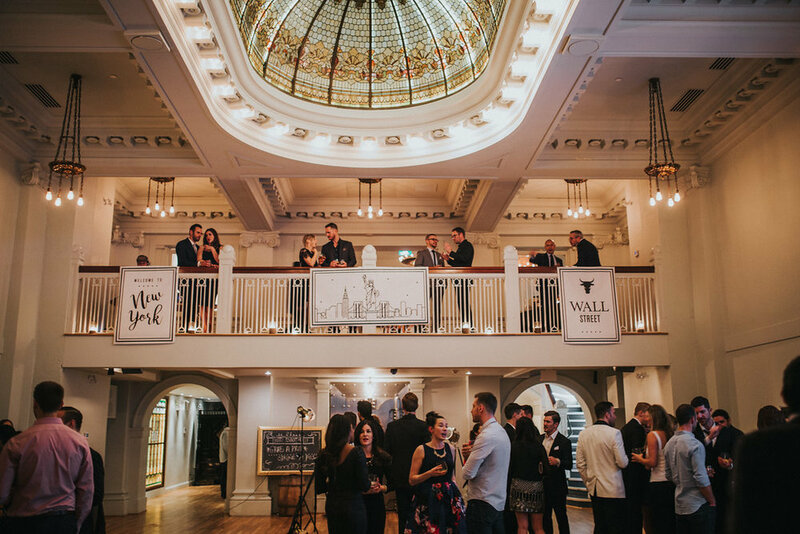 As you will learn on your tour, Hiram Walker and Sons Distillery is home to many whiskies, gins, vodka, and more. 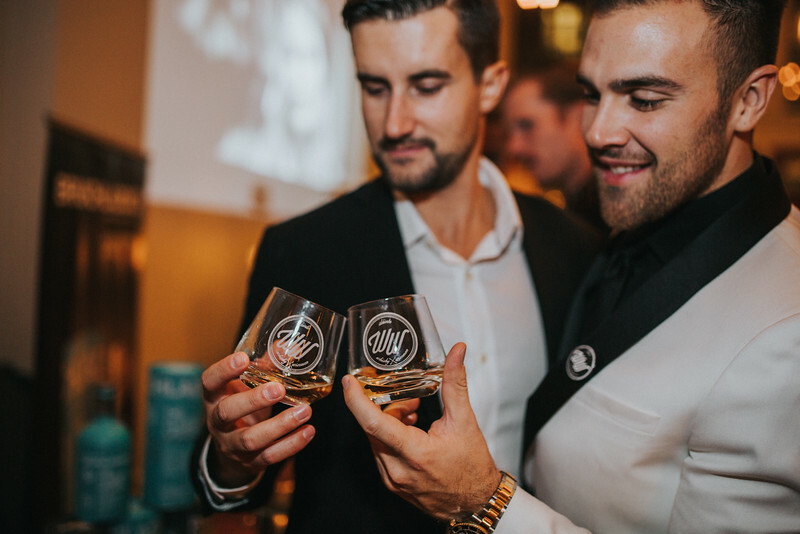 Included in their whisky portfolio are multiple award-winning brands such as Lot 40 100% Rye, Pike Creek 10 Year Old and Gooderham and Worts Four Grain Blend. The Whisky Wisemen headed over to the distillery taking our CEO and Calgary Chapter President. Their thoughts and comments included "how intimate and people driven the distillery was as well as the process of making whisky" said Lesley Brown CEO. 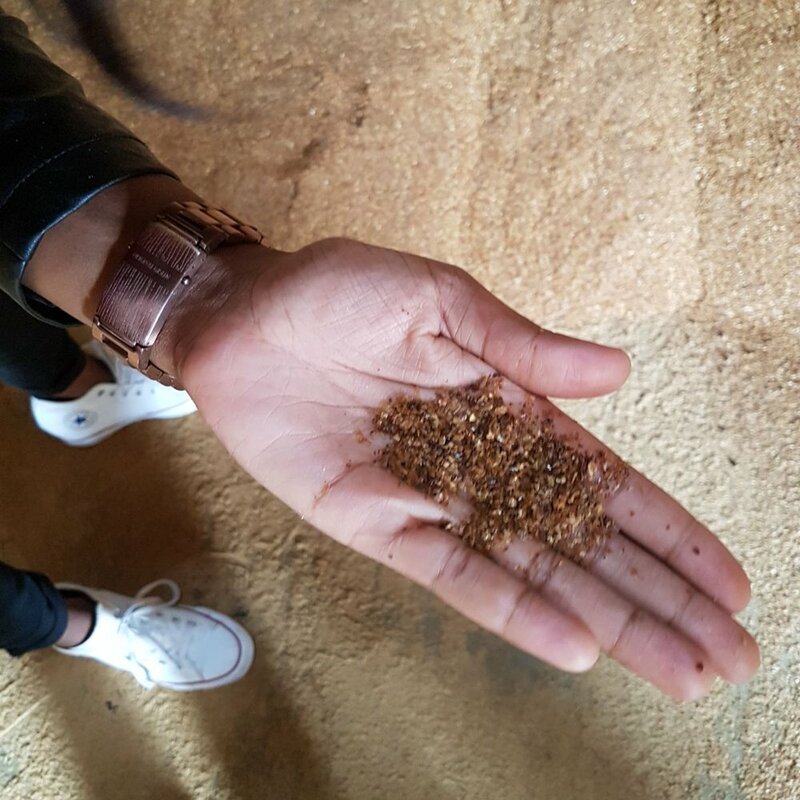 "When taking the time to truly see the mastery in the production of the product, along side the dedication and importance of each contributor, we gained and a new and much deeper understanding of JP Wisers whisky. Tours are scheduled to begin on Nov 10, 2017. They will be available on Fridays at 12 pm and 3 pm for $15. You must be legal drinking age and have your ID with you. This year the Whisky Wisemen Society took its next step towards one of its objectives, to create a sustainable fundraising model. On July 13th 2017 we hosted our very first inaugural golf tournament at the beautiful University Golf Club. 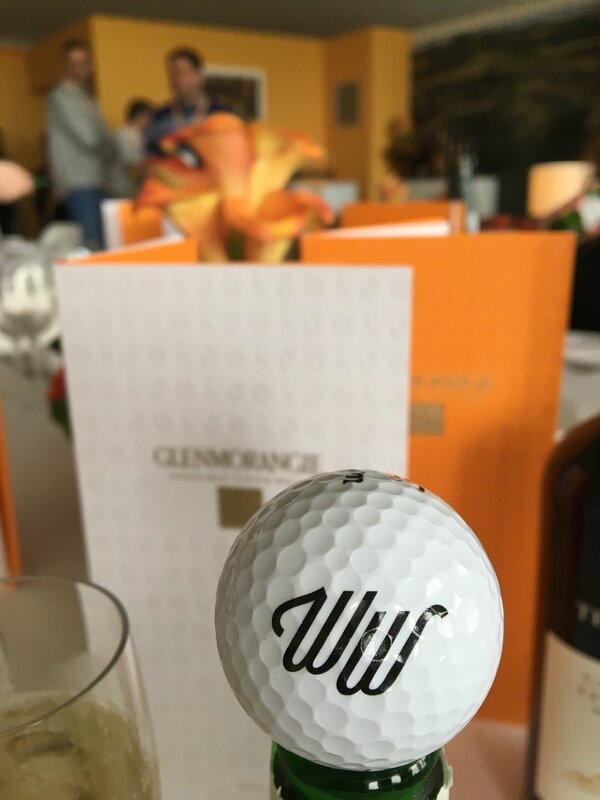 This was a very special years for us as our Presenting sponsor, Glenmorangie, gifted us an incredible prize; flight, accommodation, and ticket to the opening of the British Open. 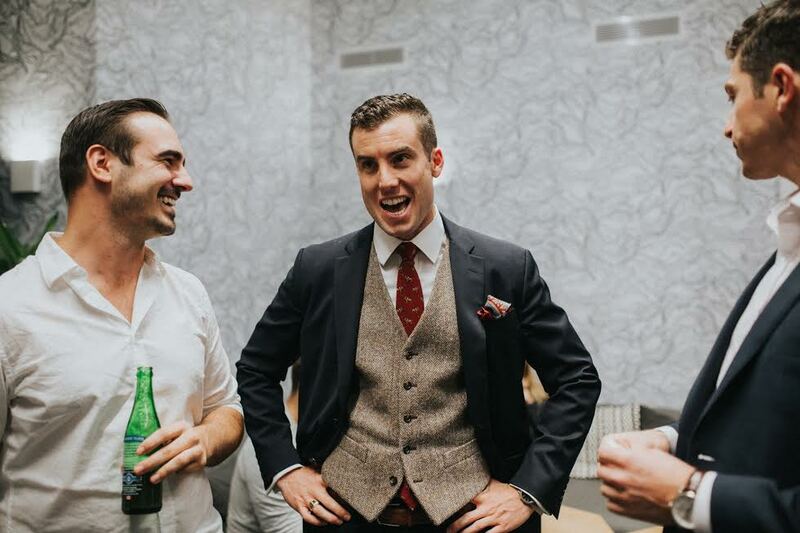 Read below how winner of our contest Lucas McCann leads us through his journey! SPECIAL THANKS TO GLENMORANGIE FOR THEIR GENEROUS PRIZE. Unfolded on Monday night as I flew out of Vancouver and into London. Here in London I met some friends for a couple of pints and food. It was amazing to see some familiar faces right of the hop. It was a 9 hour flight and I landed at noon their time. Jet leg was coming but it wasn't here yet. After leaving my friends I just had to head to Buckingham Palace to say hi to our Queen. I don't think she was home. But who knows. It was quite a sight to see though. I had an 8 hour layover in London and in this time had to make it from Heathrow to Gatwick Airport. It was an adventure but it was fun one. After the next flight I landed in Inverness, Scotland. My big day of travelling was over finally. It was now Tuesday night almost midnight their time Scotland. So around 4pm Vancouver time. A big 20 hours already filled with a couple of flights, friends, beers, food, movies and 3 countries. Canada, England and Scotland. Not bad for most people, but my trip that I won really hadn't even begun yet. I'm now in Inverness, Scotland and it's wednesday morning. I managed to have some sleep, but was a bit out of it. The sun did help as my body was like, ohhhh it's day time, okay off we go now. After some breakfast and coffee, haggis and black pudding. If you know what this is it's a bit hard for us westerners to put down. But I just had too. I mean I'm in Scotland. The trip is to begin at 11am. That's when my shuttle is to pick me up and head to The Glenmorangie House. So I had an hour or so to check Inverness out. I made my way to the Inverness Castle, this is the first castle I've ever seen in person. It was cool, I had the opportunity to head up to the top and check out the views. Quite amazing and I felt like the king of the world at that point. I've now been picked up and we make a few more stops to pick up some more people with us on this trip. The person who was picking us up was Ruddy. The National Brand Manager for Glenmorangie and Ardbeg. Obviously my two fav brands of Whiskey by the end of this trip. We head to The Glenmorangie House. As we drive up the road the fields are full of Barley waving in the wind like the waves in an ocean. We are met at the front door by some people that work there. Almost like they lived there and we were staying at their house. It was one of the most surreal and unreal, amazing places I've ever stayed at. We as I pointed out before, are on a schedule, only have a few minutes to head to our rooms, get changed and head to our first destination. The Glenmorangie Distillery, but first we sit down and chat with the group of 4 of us. Get to know each other a bit. The staff bring out some hot soup and sandwiches. Off to The Distillery we go. We are on a private tour of this place. It was so cool to talk to the brewers and staff. Learn the history and see the operation. Taste samples from barrels and bottles. This is not your usual tour, we are being treated like we are family and given the back of the house walk through. This tour was a couple hours long and deservers it on blog all together. So after some good tasting and some amazing Scotch in my blood. I'm feeling very comfortably numb. We head back to The Glenmorangie House. As we arrive to the house we have about a 45 minute break to get ready. I can now take a shower and get some nice clothes on cause I at this point thinking this dinner that's about to happen is going to unreal. It was better than unreal, I make my way down to a separate room, met with the group as they too are just arriving. A bartender is making me the best Old Fashioned I've ever drank. Made from Glenmorangie and some great ingredients. I have picture of that recipe here. After this we are led to another room. This house doesn't end, it's rooms upon rooms. The age of this house dates back to the 1600's. Just take a moment and put that into perspective. Canada just had it's 150 year event. This house alone is 400 years old. CRAZY!!! We head to this room that has had visitors from all over the world. Royalty and fame have sat in these seats. The sheer history of where I am at this point can't ever be replicated. This house is not something that can just be rented out. You have to be invited to come to this. Our meal was this amazing 4 course event filled with great conversations. White and Red wines and was easily one of the best dinners I have ever had in my life. Ever meal was romanced to us as it was brought out by our server. This young, polite, well spoken kid. Maybe early 20's who was in love with what he was doing. The cutlery didn't end, as all I could remember from growing up to take your cutlery from outside in. There was 4 pieces of everything. New glassware for ever glass of wine and water. This was a 6 star service if that even exists. Well it does here. After dinner we are guided to this next room where we entered with the likes of our server. HE was in the corner playing the Accordion for us and was so good at it. My mind was blown, this room very cottage like. A wood fire is burning, old piano in the corner. Vintage photos and poems on the walls. It was here that the Scotch did not stop. What would you like to drink Sir I was asked again and again. Hours upon hours go by and I'm like 10 Scotches in. WE tried everything under the rainbow there. We played some gold as we putted through chairs and told stories of who we are and what we do. Stories about the Scotches we are drinking Every single Glenmorangie you can think of was there. Just order and it shows up in a glass however you drink it. This again deserves a separate blog post of it own. It was 2 in the morning and a big day of events. We are down to only a couple of us left and we stumble back to our rooms. Morning is just around the corner and a big day lies ahead. Again it feel like its only been minutes as my alarm goes off. There's no way it morning already. This king sized bed in my fit for a king room was my best night of sleep yet. But I was still wishing I had a few more hours of rest. So I get up, shower and get ready. As I know that breakfast is being served early before we are off to the airport. I head down to the breakfast room. Super foggy but not terribly hungover. Something some coffee, juice and eggs, black pudding will solve. Well actually the black pudding almost became a very bad idea. Today we are to make our way from Inverness, Scotland to Liverpool, England. But before we head off in our shuttle we have something else in store for us. The shuttle swings around to pick us up and it takes us through this small town and onto the beach of the Glenmorangie House. We could have walked as it was only a 15 minute walk but we are a bit behind schedule and the Scottish weather is starting to come in. The winds are picking up and the clouds are getting dark. Rain is on the horizon. Here we are at The Cadboll Stone which we are met by the artist Barry Grove. This is from his website written below. At the end of the eighth century AD, on a windy Peninsula in the far North East of Scotland, one of the most significant pieces of early European sculpture, the Hilton of Cadboll Stone, was being carefully carved by the Picts. Centuries later, battered by time and half destroyed, the original stone was relocated to the National Museum in Scotland for safe keeping. The highly skilled carvings on the Cadboll Stone would come to inspire the Glenmorangie whisky emblem, motivating us to commission Barry Grove, a local sculptor, to recreate a stone by hand with a hammer and chisel. Work began on this enormous slab of sandstone in 2000, but it would take Barry over four years of painstaking labour before the sculpture, a testament to the skill of both the ancient Pictish and modern day Scottish people, could be re-installed on its original location. Barry Grove was there in front of us and telling us the history of the stone and how he went about recreating it. it just seemed fitting that at this point the rain came down and the winds picked up. It was actually another surreal moment and one that I will always remember. So now we are off to the airport. We get on the plane and it was time for a nap. I wake up and we are now in Manchester and in our shuttle headed to the Pullman Hotel. As we arrive it seemed as though this is where the trip picks it up a notch. We have spent the last day in the family like environment and history of Scotland and Glenmorangie. But now this is where the modern world meets the old world of Glenmorangie. Oh ya I don't think I mentioned that as the winner of this trip I also won a suit form Indochino. This is by far the best suit I one and I own a few. Every detail I get to put my own twist on. The liner is unreal, the fit too. The colour and fabric, the custom fit shirt with tie. I mean I must be one of the luckiest people in the world as everything was coming up Roses for me at this point in my life. So I put on my Indochino Jacket with a different shirt and pants as I wanted to save the full suit for the next days of events. This all took place in the matter again of 45 minutes that I had to get ready for the night. SO off again I went, we were to meet on this specific level and in this room I went. All decked out in Glenmorangie stuff and clouds and art. This room was great, this looks like it will be a good night. At this point there are now easily 50 people in this room. This are Glenmorangie people from all over the world. Reps and managers, brewers and clients. Is it bad if I grab a beer in the fridge I think. There has been so much Scotch and if the previous night was any indication I knewtonight there would be more. It was fine that I grabbed that beer cause it went down like water and in just moments another Scotch was in my hand. I felt like a girl in Vegas as everything was taken care of. I haven't spent a dime yet on this trip. The food, drinks, travels has all been taken care off. This truly is the trip of a lifetime. So after a few drinks and snacks our host says we are off to the next location. Here I was thinking this was it. We walk through Liverpool and the area we were staying down a boardwalk and arrive at The Tate Art Gallery. We walk in and again are met with ore Glenmorangie Scotch. This time this room is 3 times the size and so is the crowd. Some great drinks were had and we eventually were guided to another room. We had a table for our group, my name written and again so much cutlery. Servers walking around with white and red wine. A 3 course meal and a Scotch tasting of the 10 year Glenmorangie and the new Signet from Glenmorangie. The night had some great speeches from brewers and also the 1969 Open Champion Tony Jacklin. After this dinner we are guided back to the room we were at originally and again the drinks and scotch just kept on flowing. After a few more our group decided to head back to the hotel. Tomorrow is the day that we get to go to The Open. As most of my nights have gone. The alarm came way too early and fast. It was another fuzzy morning and I had to be down in the lobby early as I wanted so badly to get to The Open and spend the Day there. I met up with the group, checked out and was given my pass for the day. With no clue what to expect we were off to the Open. Once we arrive we head through a VIP area and straight to the Glenmorangie area. This area is overlooking the 15th fairway in a covered tent and no expense saved. Again decked out in everything Glenmorangie. I sit at the table for us, get to order some breakfast and coffee. Look at the tv's in the room and the Open is on. In a matter of moments Tony Jacklin shows up. This is a legend and I'm in the present of him. I have to get a photo of him, I do and we chat for a bit. wow, what a day already. Groups like Matt Kucher and Rickie Fowler head by the 15th. It's time we head out on to the course to check it out. But of course as most of the days have gone. A little Glenmorangie for the road. I could write 1000's of words about the detail of this day. From tasting Scotch only available to us and no one else in the world. to meeting some great people. To seeing my biggest idols in golf. To high fiving, some famous golfers. Drinks and food. and the history of the whole moment. This day was a day full of moments that are to be savoured for the rest of my life. I'm at one of the Major Golf Championships and of them all this is THE OPEN. The oldest tournament of them all....the 146th Open at The Royal Birkdale. I'm following the likes of Phil Mickelson, Rory, Jordan Spieth and Mr Gretzky (Dustin Johnson). I mean there really are no words for this day as it was a life long dream of mine. The time that I get to go is while being hosted by Glenmorangie, through Whiskey Wisemen and waring my Indochina suit. Dreams do really come true. This day was us walking around, doing a social media takeover for WW on their instagram stories. Going back and forth from our tent. For lunch and snack and more drinks. It just didn't stop. After a full day at THE OPEN....This trip was about to come to an end very soon. Our shuttle showed up and we were off to the Manchester Airport Hotel. We as a group met up for a little pub food and a drink of course. Then said our goodbyes. Off to bed and up at 4am to my 20 hour venture home. Each and every day and moment on this trip I made sure to enjoy to the fullest. Each and every day of this trip deserves it's on detailed blog post. It truly was the trip of a lifetime. i can only thank everyone for this opportunity. Everyone at Whiskey Wisemen, Glenmorangie, Indochino and every one that made it possible. Thanks to our Wise Friends at the Jameson Distiller, the Whisky Wisemen will be heading to Ireland for St. Paddy’s Day celebrations! From St. Patrick’s cathedral, to Smithfield’s Safari, to the Jameson celebrations, Jameson has packed our 3 day visit with whiskey and love. Our featured whisky is the Jameson Irish Whiskey Limited Edition Bottle designed by Steve McCarthy, Dublin based designer. The label design illustrated the Sine Metu spirit in a very Irish expression: to “chance your arm”. This story goes that in 1492, in Dublin, Ireland, ‘Black James’ Butler and his men found themselves barricaded with heavily armed soldiers outside. On the other side of the door was Gearóid Fitzgerald who, tired of the constant fighting between the clans, decided it was time to make peace. Thanks Jameson, we can’t wait to cheers a dram! The Fifth Annual Whiskey Obsession Festival will be held from March 29 to April 1, 2017 in Sarasota, Florida. 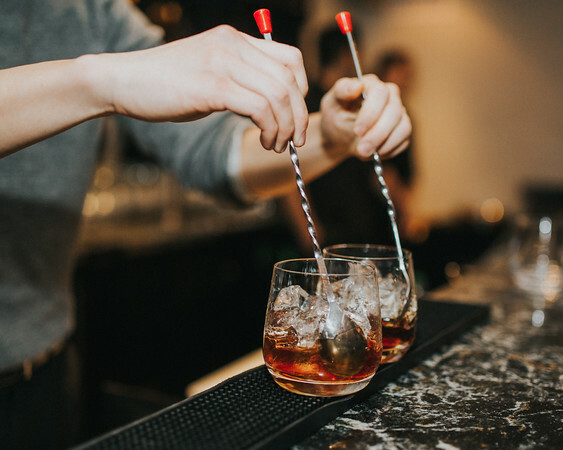 DEAR WISE-FRIENDS, OUR PARTNERS IN SARASOTA, FLORIDA ARE CELEBRATING THEIR 5TH ANNUAL WHISKY OBSESSION FESTIVAL, A FESTIVAL LIKE NO OTHER OF ITS KIND! 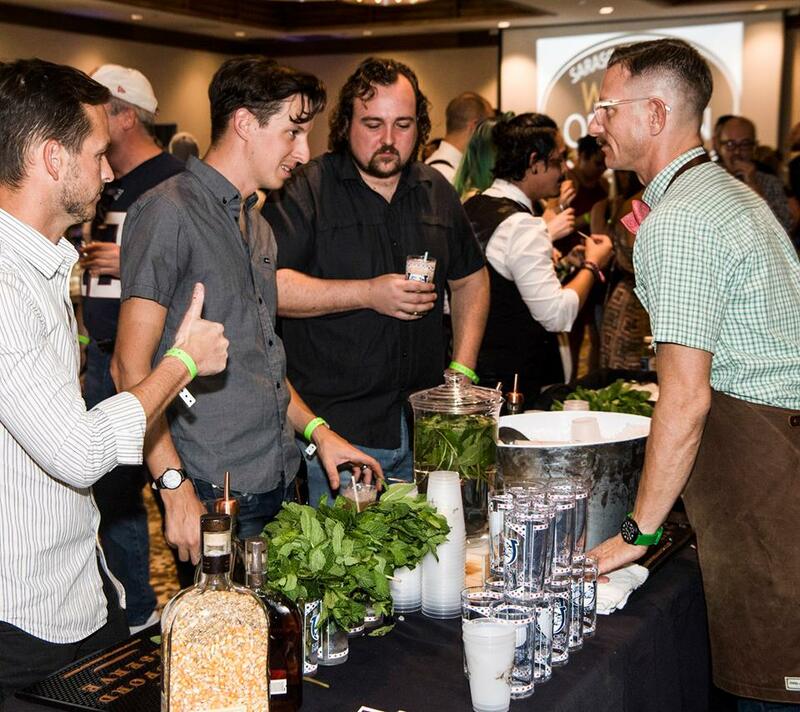 Whiskey Obsession is one of the largest world whiskey festival in the United States with 20 events over 4 days. The Panel of Whiskey Experts Interactive Tasting and Discussion, join eight distillers and brand ambassadors for this unique panel and tasting as they share their favorite spirits. 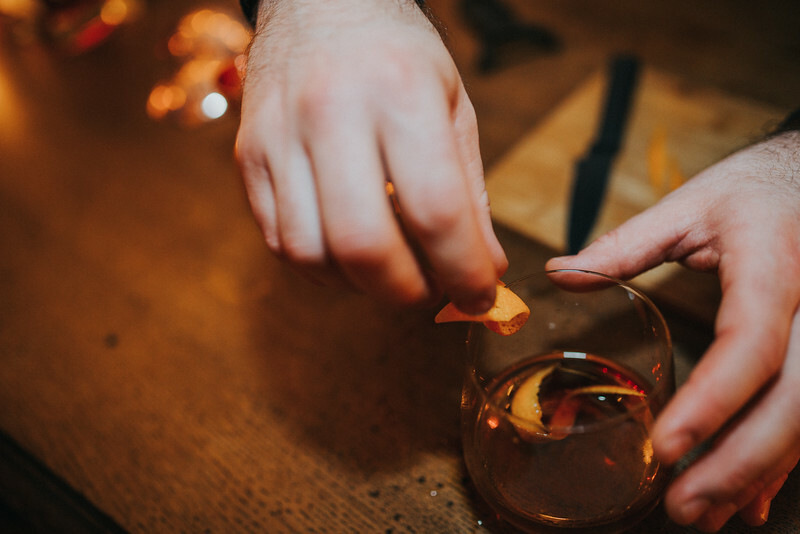 The Glenmorangie Experience Grain vs. Grape Dinner, Brand Ambassador Dan Crowell will lead guests through a five course meal starring Glenmorangie single malt Scotch paired deconstruction style with five fortified wines. Saturday night we conclude with Bourbon Rock and Blues Bash, powered by Woodford Reserve. This free downtown Sarasota street party (between Lemon and State) will feature Brown Forman cocktails, craft beer, local food vendors and five local, regional and national rock and blues acts. Tickets and information are available at whiskeyobsessionfestival.com. The Fifth Annual Whiskey Obsession Festival will be held from March 29 to April 1, 2017 in Sarasota, Florida. 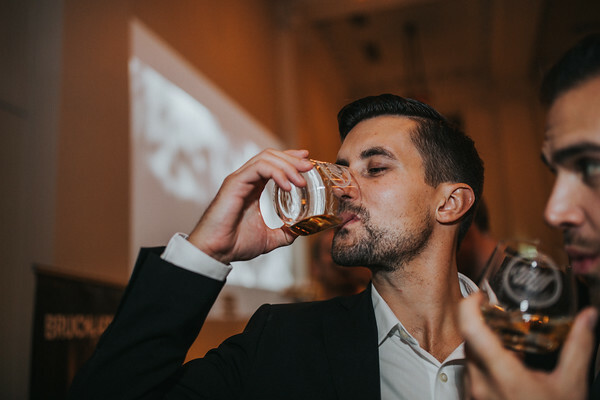 Whiskey Obsession is the largest world whiskey festival in the U.S., with twenty events over four days: classes, tastings, lunch and dinner pairings, panel discussion, cigars, VIP pours, live music street party, and grand tasting with 250 whiskies from six countries. 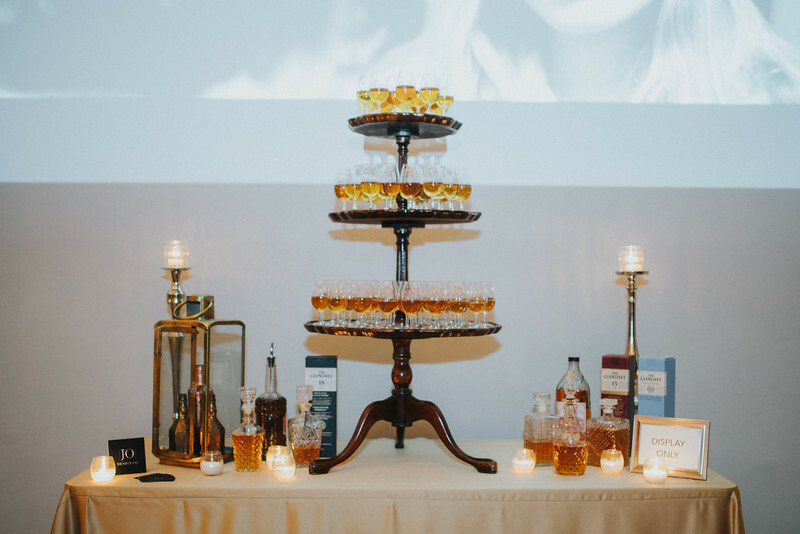 Whiskey Obsession enjoys tremendous industry support, making the many trade and consumer events unique and memorable experiences. 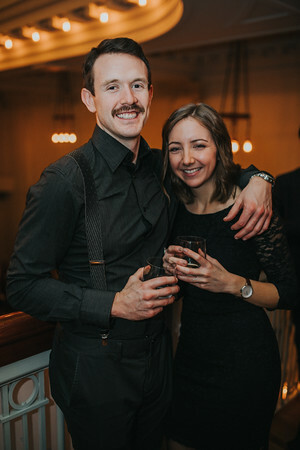 Dozens of distillers and brand ambassadors travel from all over to be in Sarasota in late March, for example Malcolm Waring, Old Pulteney distiller manager hailing from northern Scotland at nearly the same latitude as Anchorage, AK! Whiskey fans also will be heading to Florida from all around the U.S. and Canada, including Washington, California, Rhode Island, Indiana, Georgia and beyond. The first toast of the Fifth Annual Whiskey Obsession Festival will be Moët & Chandon champagne at the The Glenmorangie Experience Grain vs. Grape Dinner on Wednesday, March 29, 2017 at Sarasota Yacht Club at 6:30 pm. 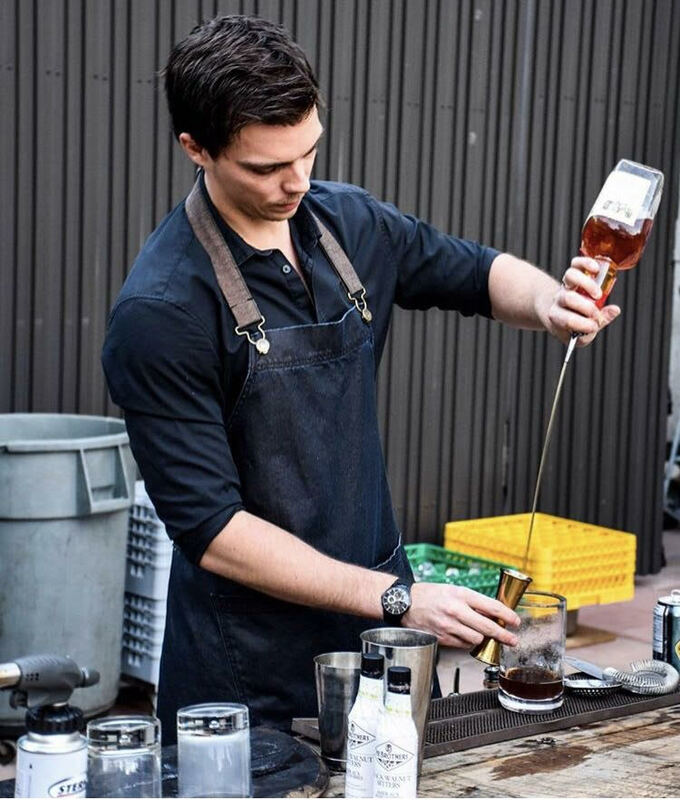 Brand Ambassador Dan Crowell will lead guests through a five course meal starring Glenmorangie single malt Scotch whiskies paired deconstruction style with fortified and dessert wines including sherry, port, Madeira, and Sauternes. 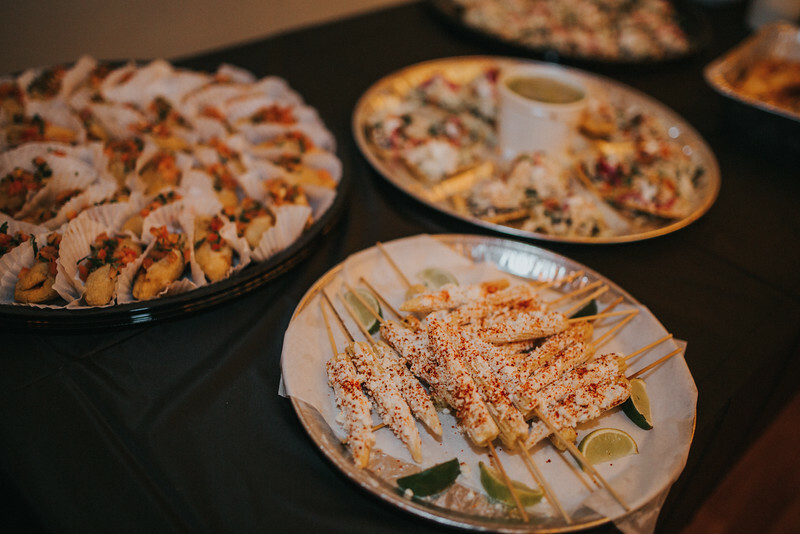 Each course is paired with a special menu created by SYC Executive Chef Anthony Puccio. Tickets are $125 per person. All three events on Thursday, March 30, 2017 occur at The Francis, starting with the Bartender Academy from 1:00 to 3:00 p.m. Bartenders and spirits industry professionals will enjoy this trade-exclusive workshop featuring distinguished distillers, ambassadors, and mixologists from Brown Forman, Louis Vitton Moët Hennessy , Glengoyne, Michter’s, Old Pulteney, and Breakthru Beverage, demonstrating of range of skills related to molecular mixology, ice cutting, sous-vide infusions, reinventing traditional cocktails with a whiskey focus, and more. Tickets are $20 per person and includes lunch, swag and Whiskey Obsession recipe book with 18 cocktails from sponsoring brands. 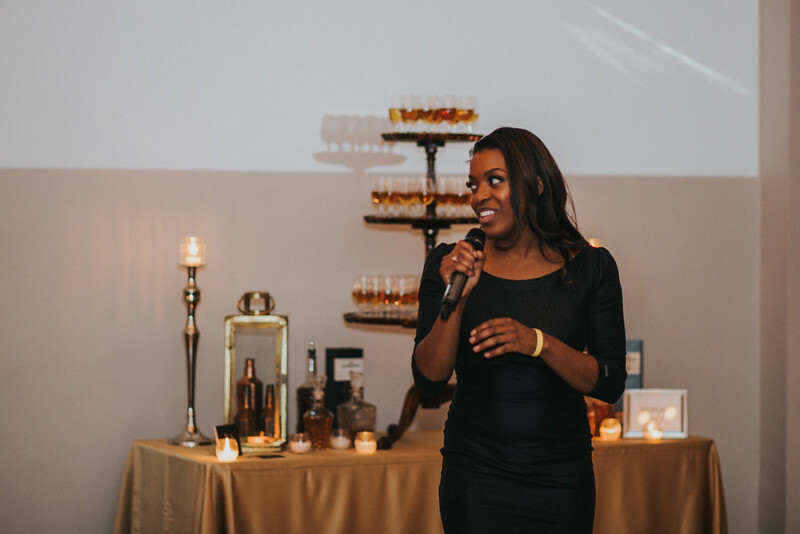 On Friday, March 31, 2017 begin with one of the Lunch Master Classes, 12:00 p.m, to 2:00 p.m. at State Street Eatery featuring Glenfiddich Family Spirits Single Malt Scotch with Tracie Franklin, Brand Ambassador, or the East Meets West: Beam Suntory Japanese & American Whiskey Showcase with Gardner Dunn and Philip Pepperdine, Brand Ambassadors at The Bijou Cafe. $35 per person includes lunch and whiskies. 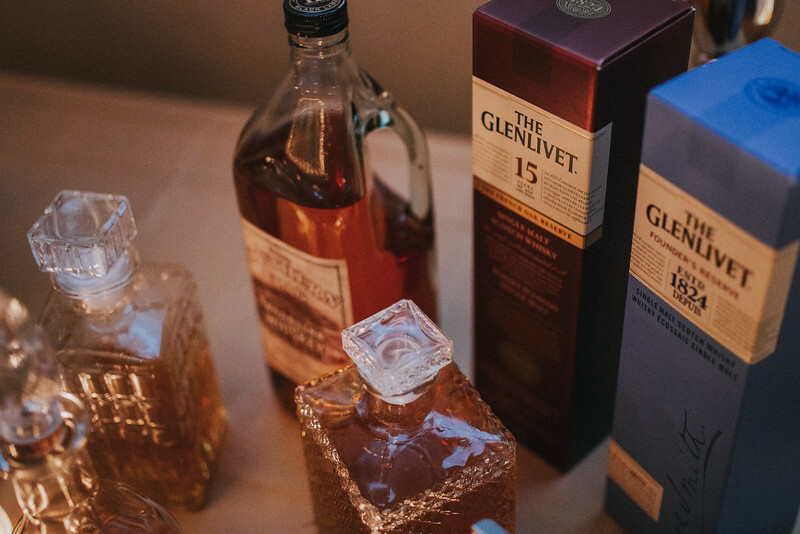 With over 250 whiskies available to sample, the Grand Tasting features dozens of the world’s premium global brands as well as many emerging craft distillers. 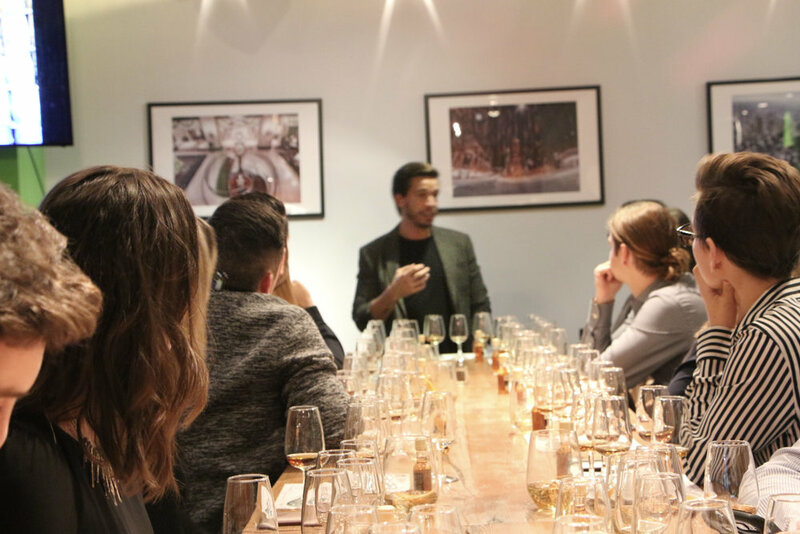 Taught by industry professionals, our six seminar-style master classes present an opportunity for in-depth learning at these interactive tastings with distillers and professional brand ambassadors. Stick around on Saturday, April 1 for a free concert with five bands! 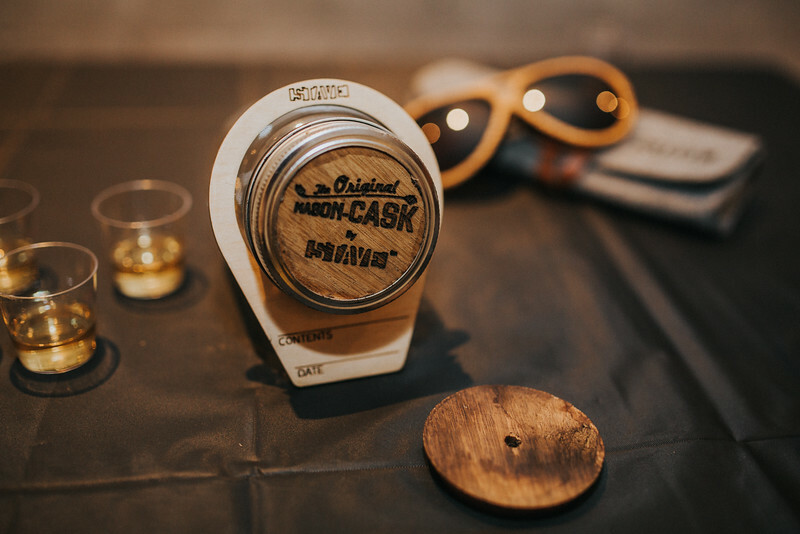 Whiskey Obsession Festival partners with Gator Club and the Harvey Milk Festival to conclude its 2017 series of events with the Bourbon Rock and Blues Bash, powered by Woodford Reserve. This free downtown Sarasota street party (between Lemon and State) will feature Brown Forman cocktails, craft beer, local food vendors and five local, regional and national rock and blues acts. This year’s lineup includes headliner Lower Dens, the praised indie pop-rock band from Baltimore, Maryland whose latest LP ‘Escape from Evil’ got a ‘Best New Music’ nod from Pitchfork and made the year-end ‘best of’ list on Gorilla vs. Bear. Florida southern rock and blues favorite Thomas Wynn and The Believers (Orlando) and Americana-flavored rock band Have Gun Will Travel(Bradenton) will also join, along with psych-rockers Luxury Mane (St. Petersburg) and local favorite RJ Howson(Sarasota) keeping the party alive until 1 a.m.
Sarasota is a beautiful resort community on the Gulf of Mexico, an hour south of Tampa and two hours from Orlando. Sarasota boasts award winning beaches like Siesta Key as well as activities like golf, fishing, shopping, sports, polo, and fine dining. Cultural assets and performing arts abound, including opera, ballet, theatre, symphony, and live music. 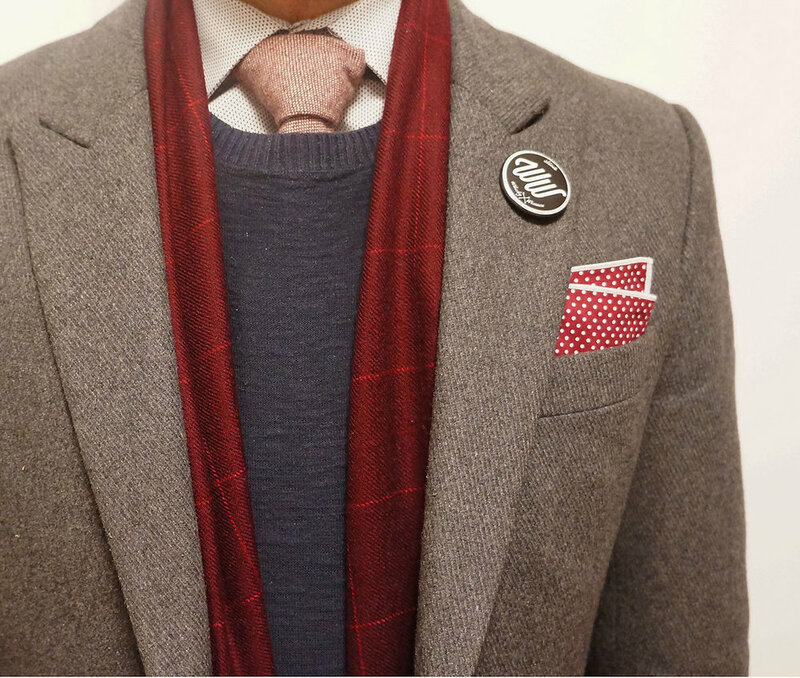 Tie, socks, square - the trifecta of men's modern style - the difference between what makes or breaks your look and your night out! Take the guess work out of your wardrobe and let our good friends over at ESTBLSH sort you out. 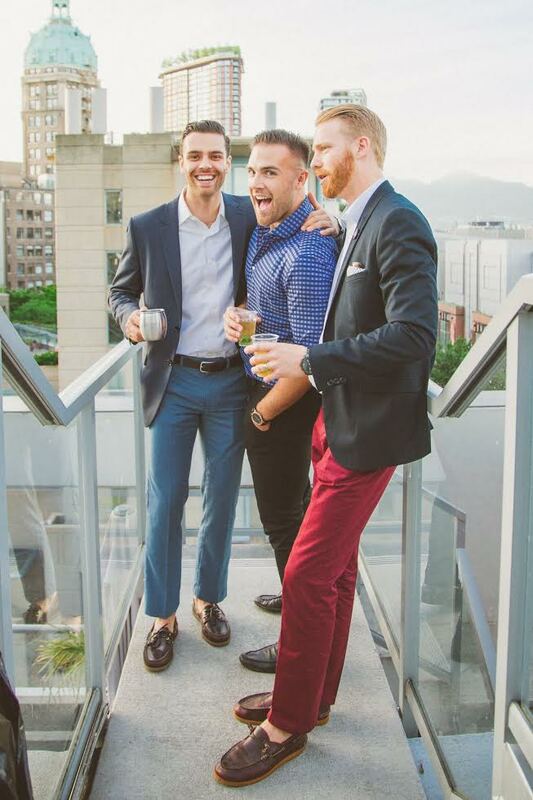 They are Canada's newest and hottest men's style box subscription service and the WW have partnered with them for the entire month of December! Every month they offer a curated collection of men's accessories. Each item is handpicked and carefully considered. Every box is a one-time, limited release - especially this one! 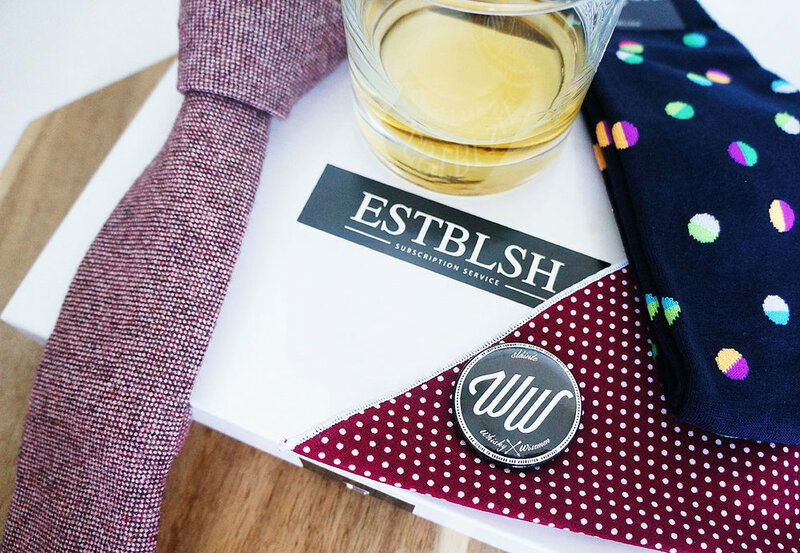 For every box purchased, ESTBLSH will donate back 10% of the sale price to the Whisky Wisemen Society which will go to support our charity partners. 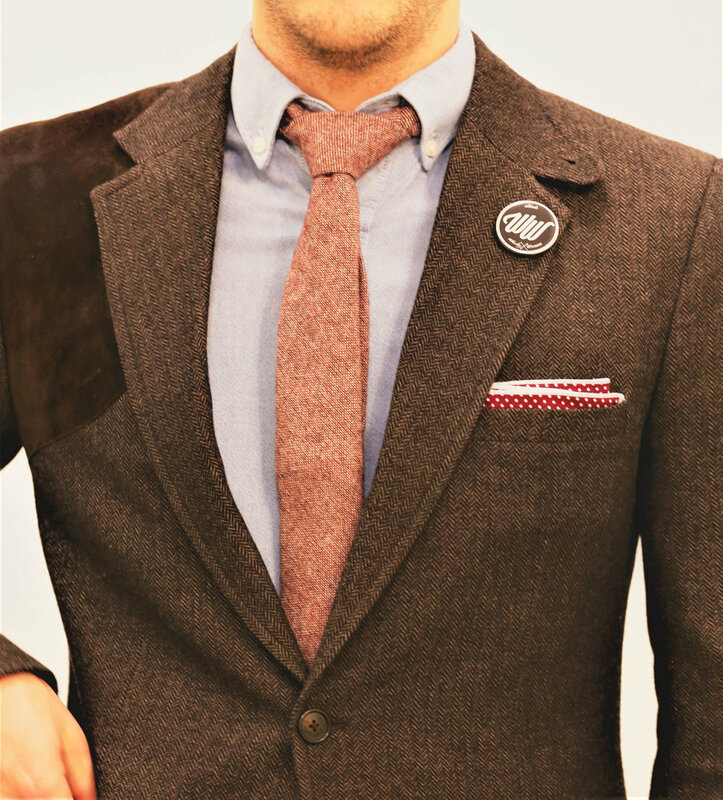 As an added bonus, the tie has been fitted with both the ESTBLSH & WW logos and we are also including a limited edition WW lapel pin to affix on your go-to blazer this holiday season. 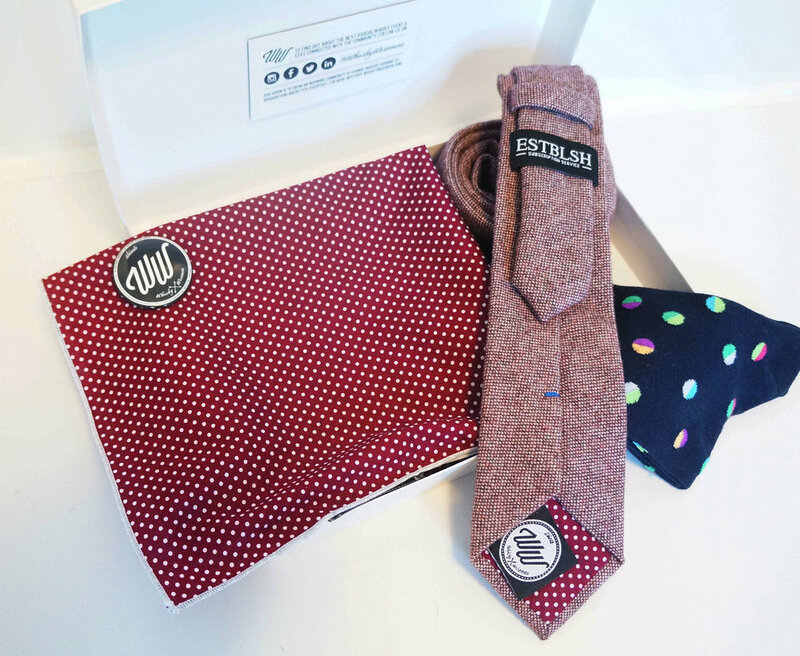 Do good & look good this December with the ultimate curated men's accessory box from ESTBLSH & WW. This box would also make a special gift for the daper gent in your life. WOW! What a night! 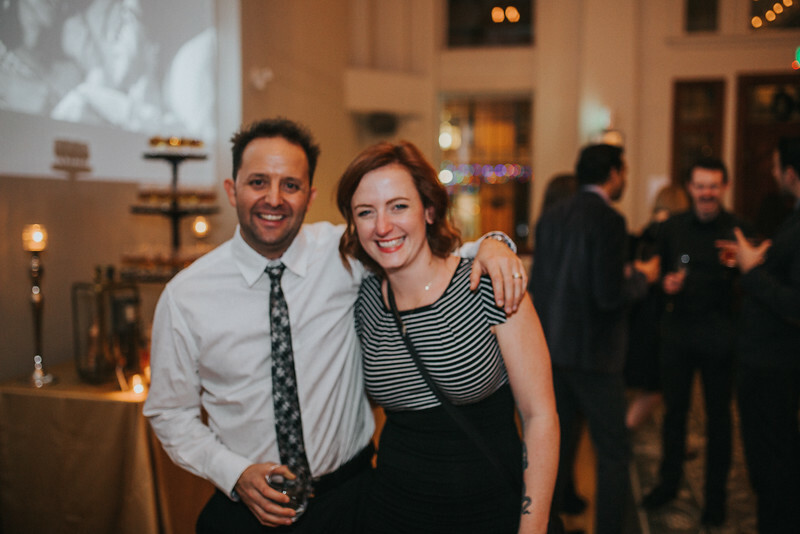 We started Club Wise two years ago and from the very first day we have built such a unique and passionate community full of members who love whisky and love the concept of #dogood and #bebetter. Our members really do live this ideology every single day and our Club Wise is just one vehicle where they are able to prove that their mission in life is to better themselves and pursue their dreams while still taking time to give back to their communities. 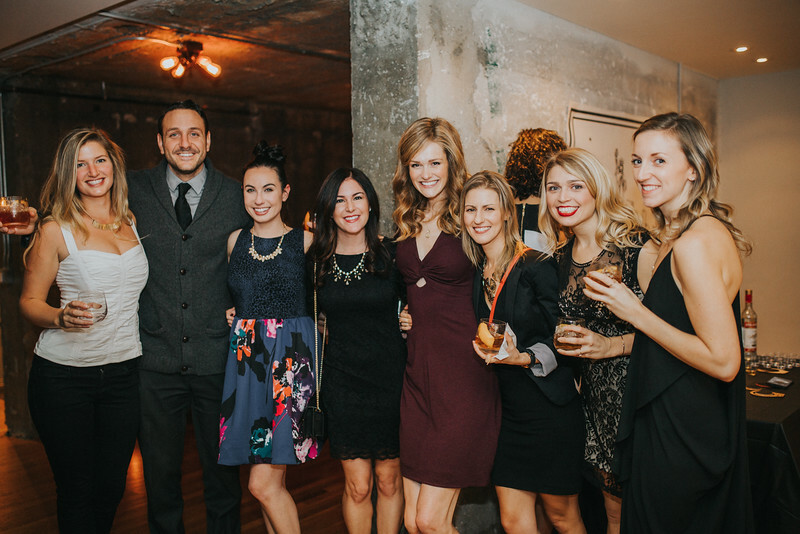 Our 2nd Annual Gala had it all! 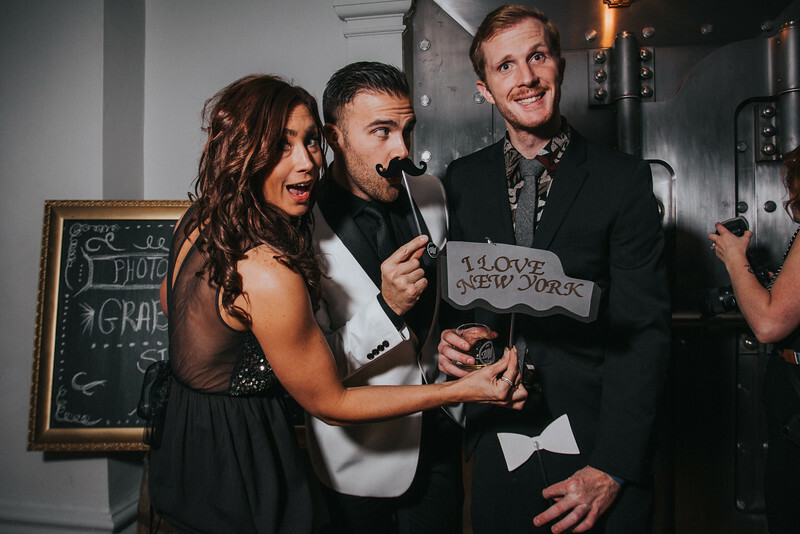 The theme was a Saturday Night in New York with various decor around the room that made it feel like we had been transported to the Big Apple. 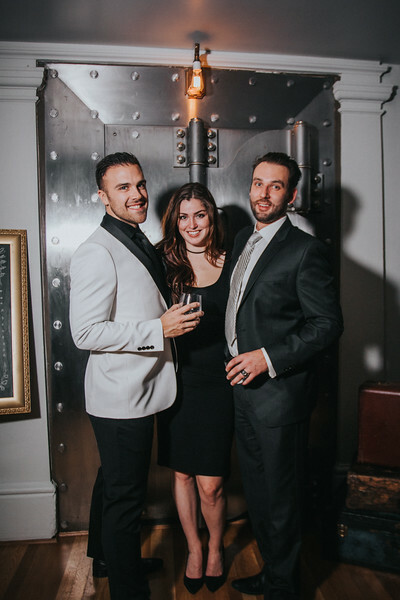 Everyone was dressed to impress but the gorgeous venue was the real show stopper. 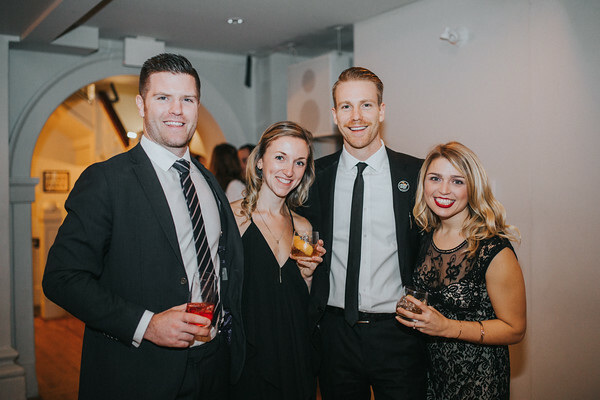 We hosted the evening at The Permanent building in downtown Vancouver, once an old bank and now fully renovated to be a heritage event space, this place is spilling over with character and charm in every corner - the absolute perfect place for our members to celebrate the end of another fruitful year. 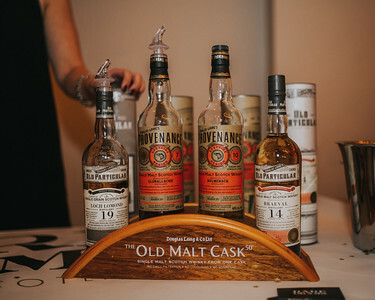 As this event was private to our members plus a few guests, we aren't going to share too much more from the evening but the next best part of the night had to be the whisky! 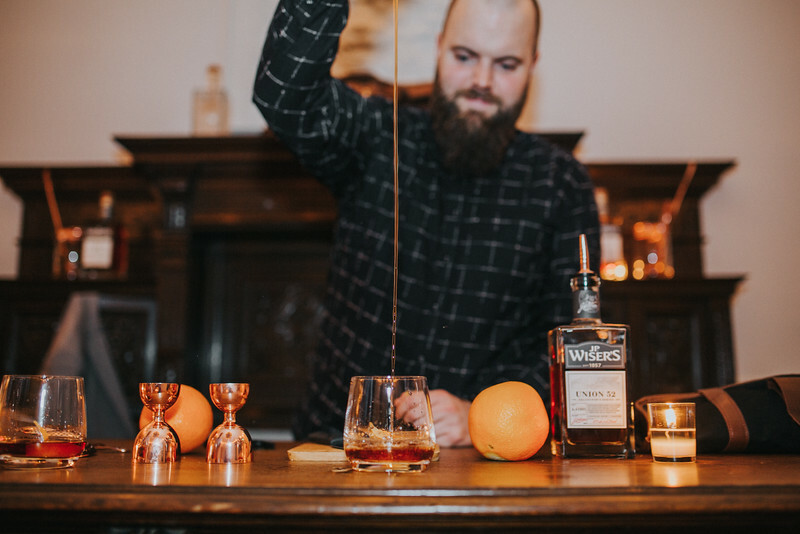 We had so many great brands with their limited expressions on hand for all of our members to taste and enjoy as well as our signature cocktail - The Wiseman - which was being served all night! Some of the crowd favourites were the Douglas Laing Big Peat, Glenlivet 18, Octomore 7.3 and Wisers Lot 52 - so good! Special thanks to all of our sponsors and partners who made this event possible! 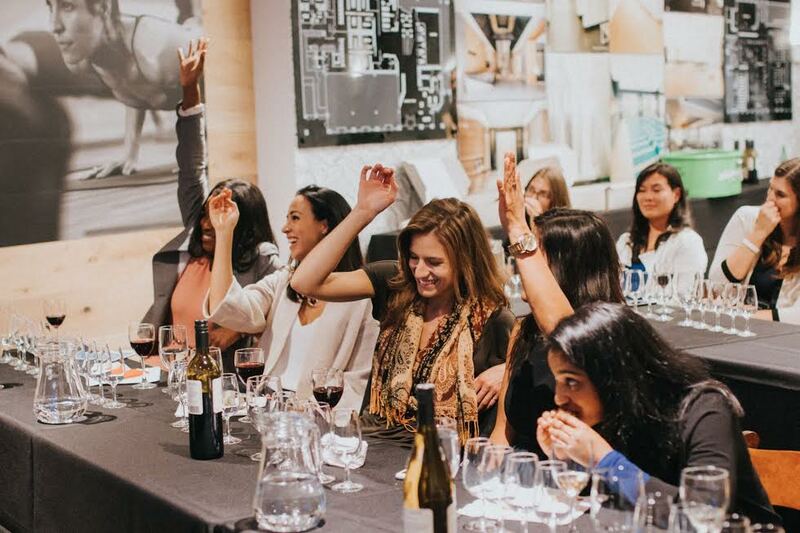 Check out some more photos of the event below! If you live in Vancouver and want to join Club Wise, our intake for 2017 is now open, and all you need to do is to follow the link below to apply! 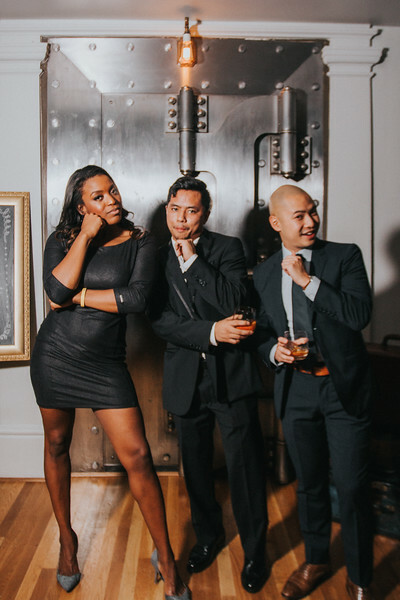 Club Wise aspires to be a multidimensional organization bringing together driven young professionals seeking to grow both personally and professionally. The vision of Club Wise is simple; promoting personal and professional growth and donating our time and proceeds to local charities, all united by a love of whisky. This year we will open a limited amount of spots for new applications into our 2017 year. All applications will close end of Day December 1st, with an email on December 5th confirming those accepted into the 2017 membership. On behalf of the Whisky Wisemen Society, thank you for your applications, we look forward to engaging with you further!